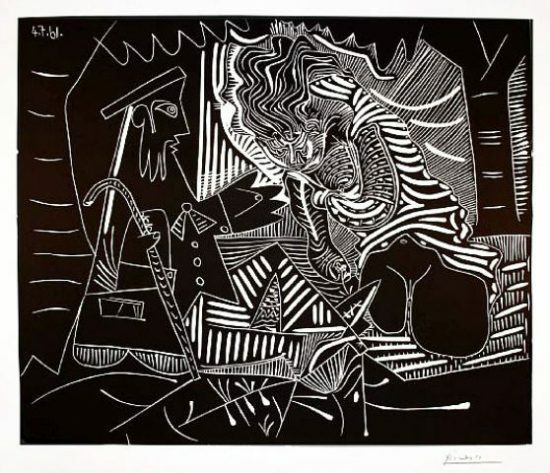 This is unique and original work. 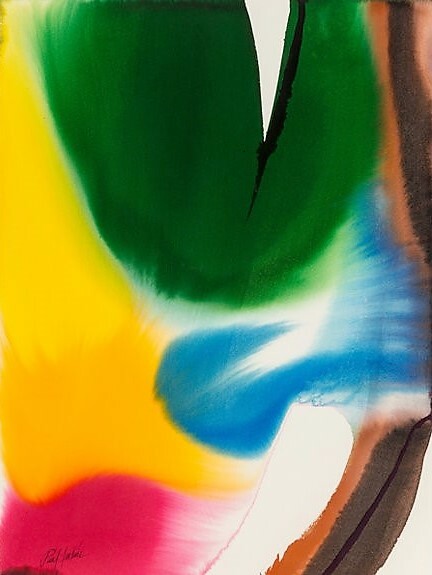 This work is hand-signed by Paul Jenkins (Kansas City 1923 – New York 2012) in ink in the lower left. 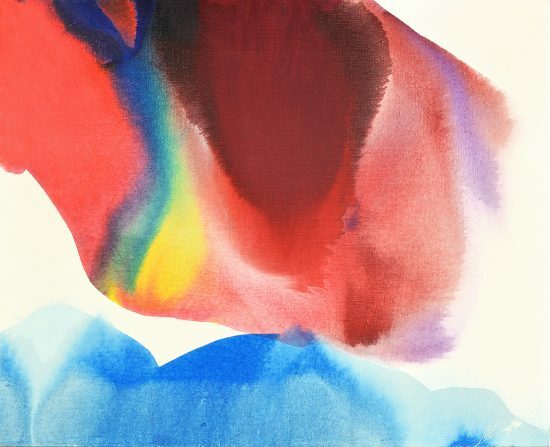 Paul Jenkins Untitled, 1976 is a vibrant dynamic composition of fluid, graceful watercolor shapes. Beautiful magenta, glowing yellow, deep green, and sky blue languidly melt around each other, creating a gorgeous slow dance of moving color. 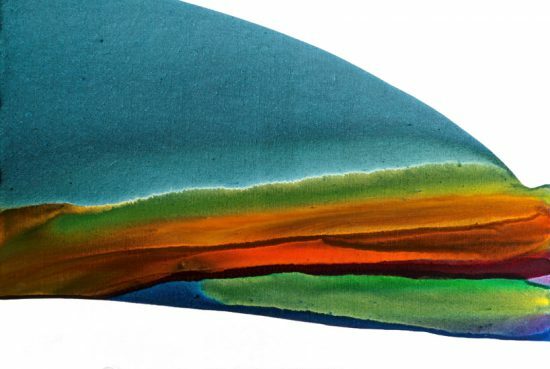 The soft lines of the main colors are balanced with a sharp V at the top edge, putting the dark green in striking contrast with the pure white of the paper. 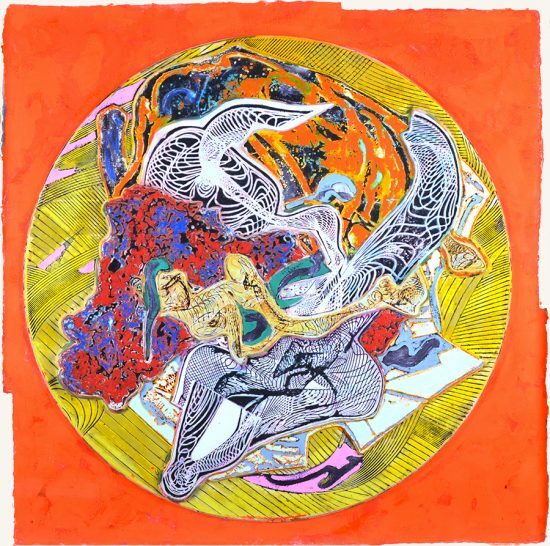 The color fills up the compositional space, flowing freely and organically, yet creating a world so well-balanced that Jenkins's masterful artistic hand is omnipresent in this magical flowing space. 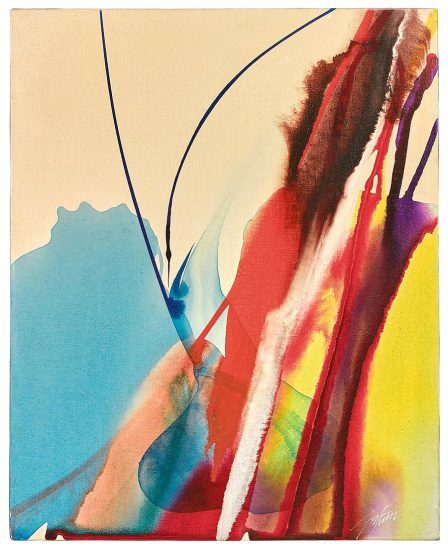 Created in 1976, this work is hand-signed by Paul Jenkins (Kansas City 1923 – New York 2012) in the lower left. This is a unique and original watercolor on paper. 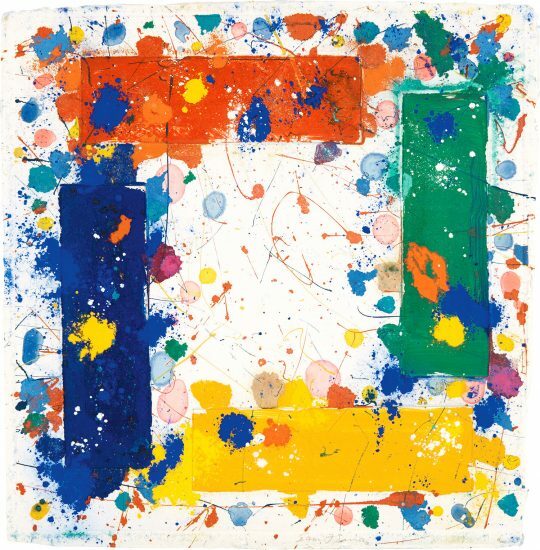 Framed to museum-grade, conservation standards Paul Jenkins Untitled, 1976 is presented in a complementary moulding, mats and optical grade Plexiglas.